Jimmy Smith never relinquished his title as the master organ player until he passed in 2005, and during the early 1990s when this exciting live album was recorded he was having a career revival. 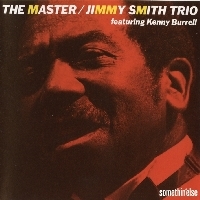 For two days during Christmas of 1993, Smith reunited with the superstar guitarist Kenny Burrell and drummer Jimmie Smith and performed for an enthusiastic audience in Osaka, Japan. Tunes included hits from his Blue Note era such as "The Preacher" and "Back At The Chicken Shack" as well as Verve era favorites "The Cat" and "I Got My Mojo Workin'." At age 68, Smith showed no signs of slowing down, and showed imagination in his playing that was as potent as ever. Recorded live at Kirin Plaza Osaka, Japan on December 24 and 25, 1993. SHM-CD uses an advanced polycarbonate material for superior sound quality and is compatible with all CD players.